Popcorn is one of our favorite snacks. It isn’t just easy to make but is also a really healthy snack that is perfect for munching on whenever those hunger cravings hit in between ﻿meals. Also, popcorn has come such a long way since the traditional movie-theatre flavor hit the markets. Now you can get microwave-friendly popcorn in every flavor imaginable. Popcorn is available in the market both in the form of kernels and fully cooked popcorn. While we suggest you go for the former rather than the latter, it is completely up to you to choose the form you like best. We prefer popcorn kernels because they are healthier and give you the freedom to make popcorn the way you like. In this method, you put the kernels, oil, and seasoning in a pan and cook it over a stove. This method of popping popcorn gives you the most control over the cooking process. You can add any flavor you like. This process is the best way to make sure all the kernels pop. You also get fluffier popcorn when made with the stovetop method. However, this process is also the messiest, since the butter/oil sticks to the pan and you have to wash it afterwards. Also, this process takes more time and effort. Take a look at how this method works. Hot air popper is a machine that uses hot air to pop the popcorn kernels. As the kernels heat up and pop, they start increasing in size and coming out of the chamber that houses all the kernels. Since this method doesn’t require you to add in any oil or seasoning, the popcorn you get is very healthy. However, with a hot air popper, there is always a chance that many kernels won’t pop. Also, the texture of the popcorn is different and they are chewier. But, hot air poppers are a fast and easy way to make popcorn. Probably the most famous method of making popcorn is by microwaving kernels till they pop. The microwave popcorn brands are really famous and they offer many flavors. This is probably the most convenient way to make popcorn; it involves very little fuss and no mess. However, microwave friendly popcorn is usually less healthy than all the other varieties; these kernels aren’t just processed with a lot of chemicals to maintain their longevity, but they are also packed in plastic bags that are dangerous for your health. You can make microwave popcorn at home as well to make sure that it isn’t unhealthy. 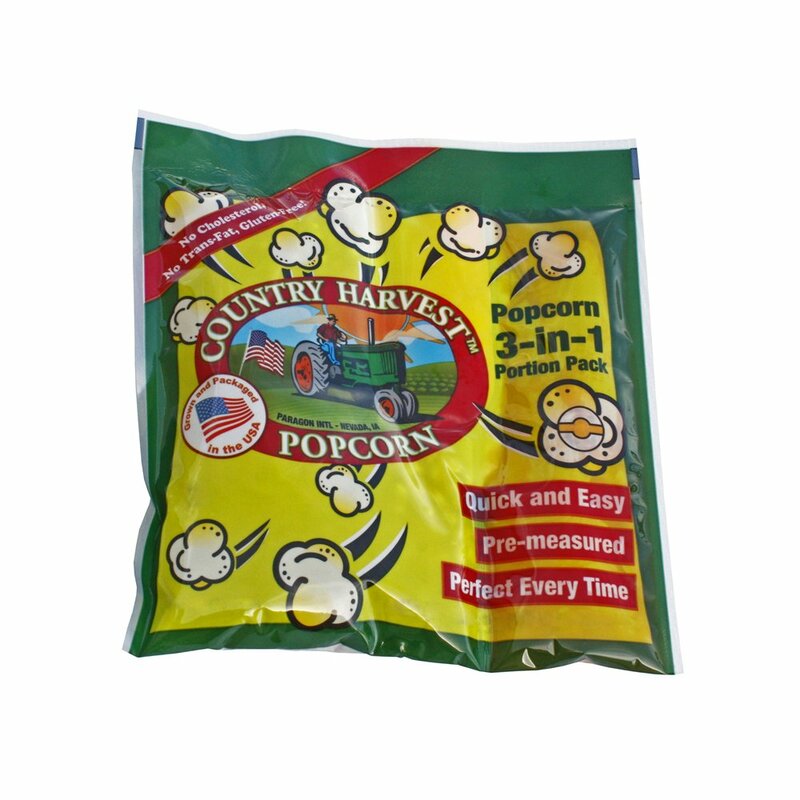 Country Harvest offers good quality popcorn kernels in convenient packaging. One of our biggest concerns with buying popcorn kernels is that we never know how much to put in to make one reasonably sized batch. Country Harvest popcorn alleviates our concern by packaging kernels in pre-measured bags. This makes it easy to control the amount of popcorn you want to make at one time. The kernels don’t come pre-seasoned, at least that’s what the box says. However, we did notice a slight nutty, buttery flavor even though there are no nut-based ingredients mentioned on the pack. Available in sizes ranging from 4 oz. to 12 oz. 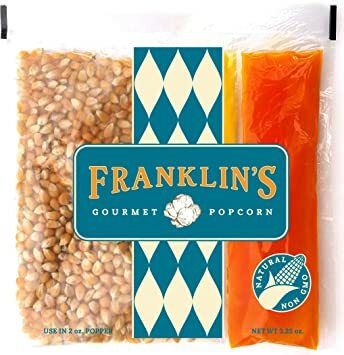 If you’re in the market for a traditional popcorn brand, then Franklin’s may be the best choice for you. They promise to deliver healthy, organic popcorn that takes you back in time when everything was natural. These kernels are also portion packed and the salt and oil are available in separate packs. As discussed before, there are pros and cons to this kind of packaging. These popcorn kernels aren’t flavored, we tested this claim by making a seasoning-less batch of this popcorn and found that it indeed tasted bland. Franklin also claims that you can control the fluffiness, chewiness, and flavor of the popcorn by playing around with the portion size of the kernels. However, we found that this is easier said than done. 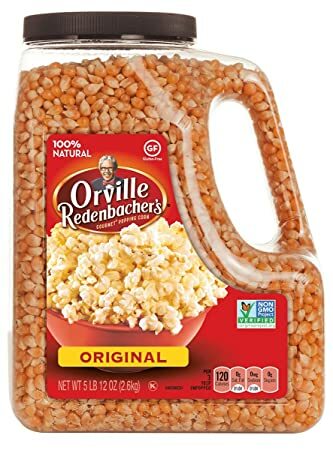 Orville is probably one of the most famous brands for gourmet popcorn kernels out there, and with good cause. These popcorn kernels are healthy and tasty. The large jug that is used to package these kernels means you can have your favorite snack every day. Since these kernels are pre-packaged, you have the freedom to control a number of kernels you add in every batch. You can also add your choice of oil and seasoning to truly customize the flavor of your popcorn. Bob’s Red Mill popcorn is another very healthy popcorn kernel brand. 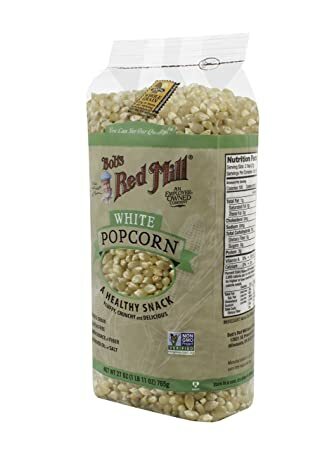 What makes them stand out from the rest of the brands is that they offer kernels that are completely white and end up making white popcorn instead of the traditional yellow one. But the color of these kernels isn’t the only thing that’s different, they also offer a distinctive taste. Since these kernels are white and smaller in size, they require less oil and seasoning than other kernels and also have a different cooking time. If you’re looking to try something different then Bob’s Red Mill is a good option for you. Microwave friendly popcorn kernels are amazing because they have a no-fuss cooking quality that is hard to beat. As most people consume popcorn as a snack, it makes sense that the snack is easy and less time to consume. 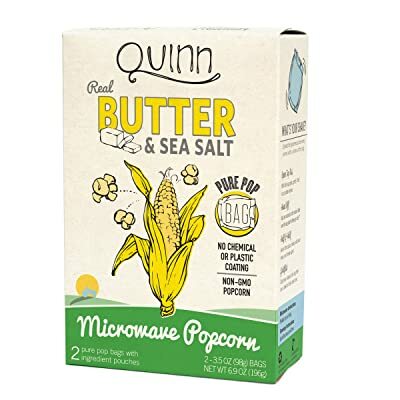 Quinn Snacks has made it to our list because it offers microwave popcorn that has no added preservatives or unhealthy ingredients. What we love about this brand is that they offer natural, gluten free kernels in microwavable packs that are made of recyclable paper. This means that even the bag has no chemical coating or plastic in it. This is one of the best microwave popcorn brands. While we love all the popcorn kernel brands mentioned here, our favorite of the lot is Orville Redenbacher's Gourmet Popcorn. We love these kernels because they are easy to make and taste amazing. With this brand, you don’t have to worry about storing the kernels in any other container and you can make as much popcorn you want at one time. You also get the freedom to add as much (or as little) oil and seasoning as you require and you can experiment with different flavors as well. As far as the size of the jar is concerned, we usually store our jar in a freezer to prolong the shelf life of the kernels. Did you like this list? If you would like to see more reviews like these, let us know in the comments section below. Café Altura is a well-known brand in the coffee world. Their coffee blends range from dark to light and they also offer a mix of different flavors. Our favorite Café Altura blend is the Sumatran Dark Roast because it is just the right dark roast blend. It makes for a strong, well-rounded cup of coffee. The taste isn’t overbearingly bitter which means you can enjoy this coffee black. This is a 100% Arabica bean coffee that is planted in the company’s private coffee farm, grown with the utmost care. The beans are roasted to perfection to ensure a well-rounded cup of coffee.